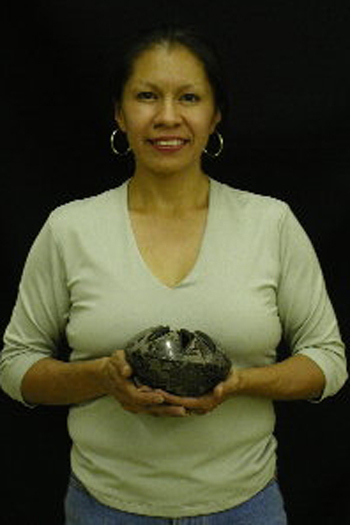 It is our pleasure to introduce you to February’s featured artist, and our friend, Santa Clara potter Gwen Tafoya. A member of Santa Clara Pubelo, Gwen Tafoya was born on April 18, 1965 to Mary Agnes Tafoya. She first learned to created deeply carved pottery by watching and helping her mother and grandmother, Severa, when she was very young. Once she became adept at the technique, she began experimenting with sgraffito, which is the art of etching pottery after firing. 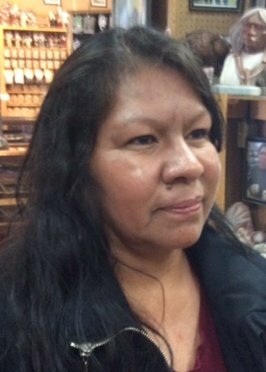 Gwen’s pieces are most often black, brown, or a combination of the two, and feature intricately etched rose, butterfly, and hummingbird designs. The native name for her Pueblo, Santa Clara, is “Kha-Po=Oweenge,” which is associated with wild roses, and thus why roses are so prevalent in her artwork. 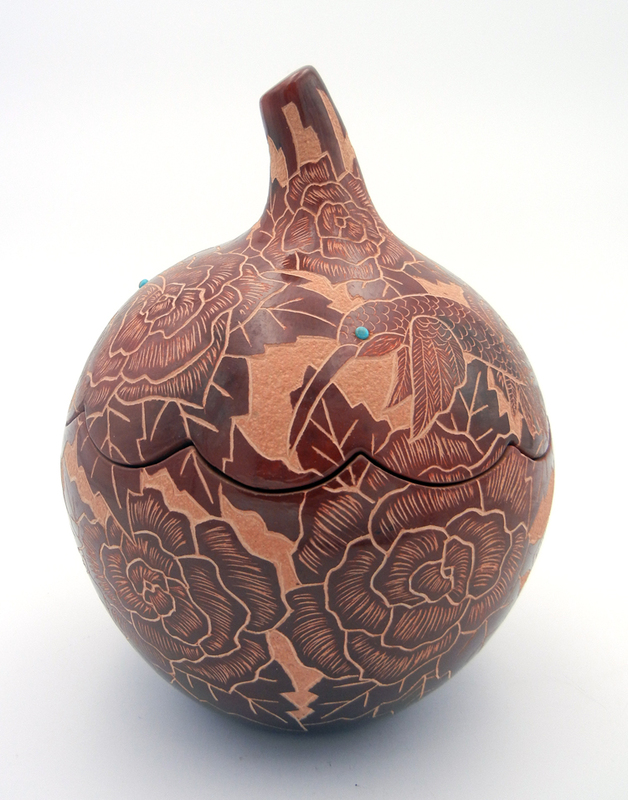 Additionally, Gwen’s pieces are always expertly polished to a high shine, which finishes each beautifully but also highlights the intricacy of her sgraffito. Gwen says that making pottery is most certainly NOT easy, but that is IS a labor of love, and one that she is quite prolific at. We are so lucky to get to work with Gwen, and to help share her stunning artwork with all of you.